Congratulations, Catherine – your copy is on its way, and thank you for stopping by! Now, for the poetry: a few months ago, I shared some examples of my #PopsiclePoetry prompts – two or three random words written on a Popsicle stick, which I use to create a poem, usually within about 15 minutes. These are prompts, warm-up exercises for the brain, if you will, so the lines I write are not finely-tuned pieces of poetic prowess; rather, they are simply the result of a few laps on the ol’ cerebral treadmill. But every now and then, the words come together in such a way that the poem feels more polished, more thoughtful, more “real” than I’d thought it would be, and it connects with many of the folks who read it. This is one of those. I admit it took me much longer than the 10-15 minute limit I try to impose upon myself, because I liked the concept I had come up with and had to keep battling with the thesaurus to craft the internal consonance I wanted; all those S’s, P’s, and B’s were important to the musicality of the lines, and they had to not only feel good on the tongue, but they had to sound unforced to the ears and make sense to the brain. Hopefully I succeeded in at least one or two of those areas! I was overwhelmed by the positive response the poem received on my Facebook and Instagram pages, so I thought I’d share it here, in case you’d missed it. By the way, I’m once again fortunate to be participating in the annual Madness! Poetry competition! If you don’t know what it is, check out the link HERE. It all begins this Sunday night at 5pm, EST…which means my competitor is going to have the upper hand, as I’ll be heading to my indoor soccer league game and not getting home until almost 9:30pm! 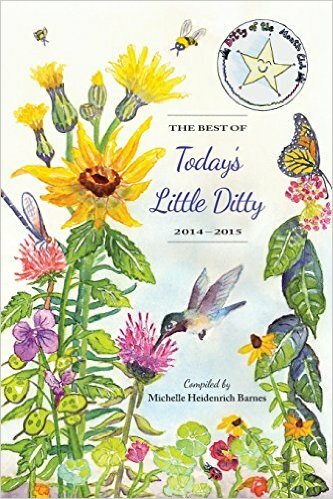 For today’s complete Poetry Friday roundup, please visit my friend Linda Baie at Teacher Dance, where she is celebrating spring with a poem of anagrams! Madness! Poetry returns for 2019! 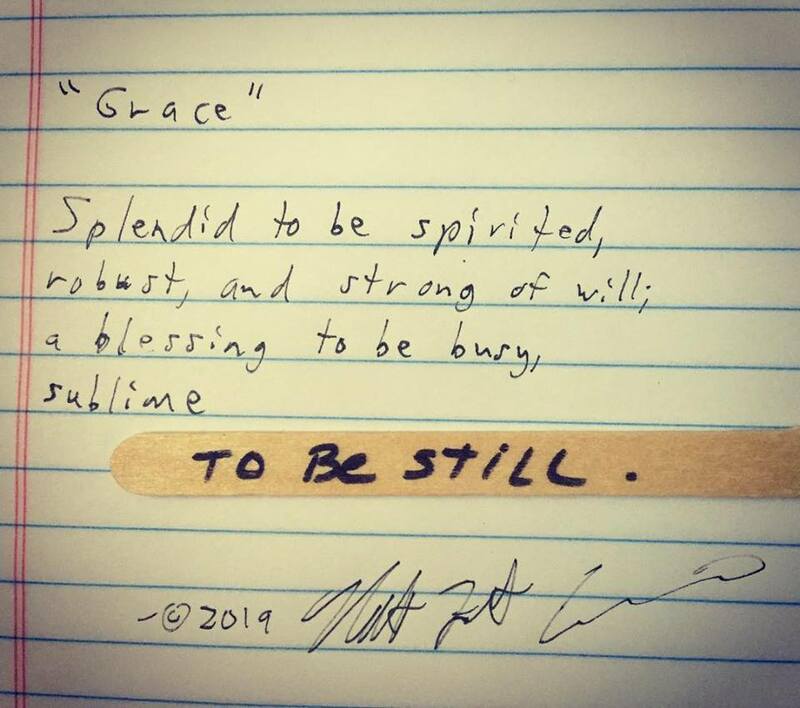 Your poem is beautiful, Matt, and I’m enjoying your popsicle poetry. What a freeing way to get the poetic juices flowing. Thanks, Kimberly! Even the ones that aren’t all that great – which is most of them! – are still beneficial because they help to train one’s brain. I love this. And, you give me an idea. I’m doing book spine poetry with some reading strategies classes. Some of the kids are tough to motivate. If I provide the choice of book spines OR popsicle sticks….that could help. I’ll have to let you know how it works out. I do love the wisdom in today’s popsicle poem. Thank you, Linda – giving them a couple of options is a great idea, as you know not everyone processes information the same way. Good luck with the classes! I loved the poem when you shared on FB & now, too, Matt. It feels like one that everyone needs to post, a reminder of that important part in life, to ‘be still’. Your popsicle poems are always a delight! Oh, thank you so much, Linda! I appreciate that. Loved this on FB! Thanks for sharing again – well worth the rereading! I enjoyed this on Facebook and am glad to see it again here. You’ve done some wonderful stuff with these popsicle stick prompts! Congratulations again, Catherine – the book is on its way to you! Ahhhh… we can alll use a gentle reminder to slow down the crazy pace! Thanks, Matt, and CONGRATS to Catherine for winning the latest, greatest RKD and Fred Koehler treat! :0) PS- Good luck with the MM tournie; I think that’s where we first “met” a few years ago! Be still is a wonderful one word, Matt. Your wife chose well. Your poem is a great compliment to what your wife wants to accomplish this year. The alliteration works well and the word sublime wonderfully describes the experience of being still in thought. I like the ending, “sublime to be still.” something worth striving for in our too hectic lives. Good luck with the Madness Poetry–it really keeps you going!